July – the best month of the year! As cyclist, we all love July because the Tour de France is in full swing and so is the touring and racing season in Colorado. With envy, many cyclist watch the pro riders and wonder how they can mimic the fitness and performance of such talented athletes. In fact, it seems that pro cyclists are often all thought to be blessed with nature’s special gifts – a huge heart, enormous lungs and infinite leg power. Yet, in reality this is hardly the case. The truth is that most of us have the physiology to be a decent racer – if we trained as much as they do. Granted, most of us don’t have the time or the resources available to pro cyclists but we can all optimize the talents bestowed upon us by training properly. Here’s what pro cyclist are doing that you can do too. Cool things first. If you noticed, pro riders are wearing the new GoPro Hero 4. You might wonder how this could help your training? Considering that the winter months can be bleak, capture your favorite training rides on video and reply when riding the rollers or trainer during the winter months. We at Peak Cycles Bicycle Shop can order the GoPro Hero 4 if you like! Pro rider ride really nice bikes! That’s a given. Great road bicycles don’t have to come at a hefty price tag either. Right now, in our Golden, Colorado shop we have a really nice S-works bike in the store with Shimano XTR components and 11-speed in back. Light and fast for racing. If a new bike isn’t in your budget, then start with the basics. Have good equipment. Meaning, have a bike that fits, get the right bike parts, and wear the appropriate cycling accessories. It may seem obvious but the small things add up to bigger gains. What we like about this product is that it is nutrition “based on peer-reviewed science. The science is simple. Hydration, which refers to the maintenance of water in your blood, is critical to maximizing power, endurance and reducing fatigue. When you’re thirsty, you’ve already lost two percent of your body water—and 11 percent of your power.” Stop by the shop in Golden, Colorado to learn more. Finally, an all time favorite! Honey Stinger products – tasty edibles on the ride. Pro riders train with power and heart rate. Some mistakingly think that technology takes away the “riding experience” or that it is too costly for their level of riding. However, times have changed and power meters are much more affordable. They offer objective bio feedback to help you perform your best. Our most popular are Stages Power Meters beginning at $1000. Stages Power meter is the lightest, smallest, most technologically advanced unit available today. Another option is the Pioneer Power Meter offered at $2000 and is a bit more sophisticated. A third favorite is a company that’s been around for a while now – PowerTap Power Meter. Last but not least, a little R&R or active recovery is good too. Some of the most elite cyclists use yoga as part of a successful training program, including 2012 Tour De France winner Bradley Wiggins. Wiggins’ benefits from the focus it brings to his cycling, while others, such as pro mountain biker and Olympian Jeremy Horgan-Kobelski, use yoga to gain strength. From power to endurance, athletes at all levels are incorporating yoga to gain an edge over the competition, and prevent injury. 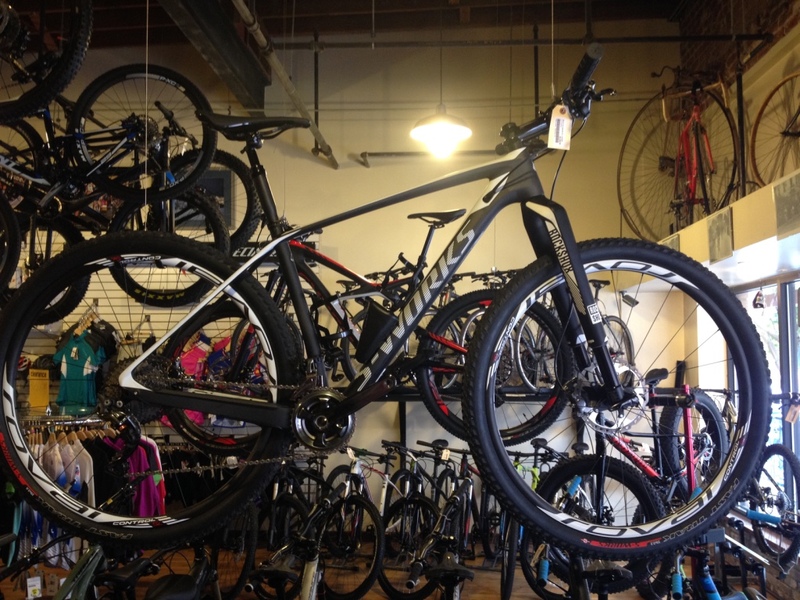 This entry was posted on Thursday, July 9th, 2015 at 7:00 AM and is filed under Peak Cycles Bicycle Shop. You can follow any responses to this entry through the RSS 2.0 feed. You can leave a response, or trackback from your own site.